What drives and sustains your work as a writer? In my journalism and in my fiction, I’m driven by my deep curiosity, always in search of untold stories. I want to understand a character deeply, their motivations and the circumstances behind their actions. 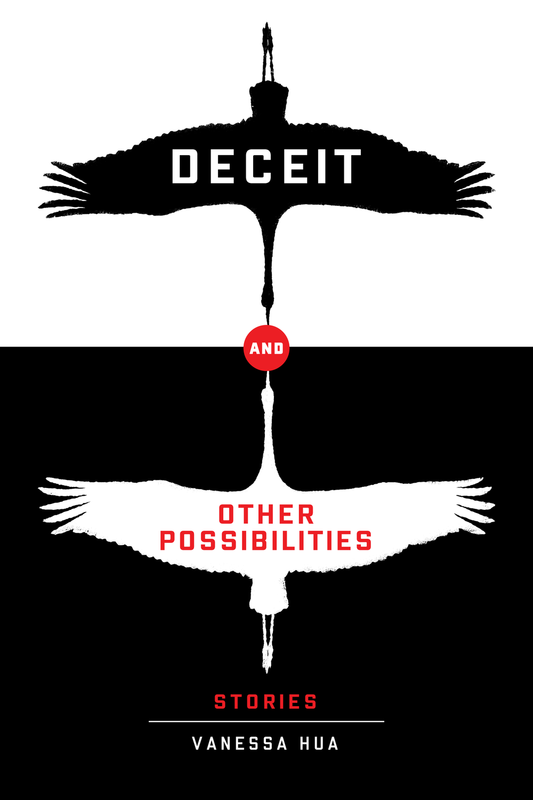 What do you see as a switch from nonfiction to fiction for your short story collection, DECEIT AND OTHER POSSIBILITIES? Were there any challenges you faced in finishing and producing the collection as a whole? I’ve been writing fiction longer than I’ve been writing nonfiction. Back in the second grade, after we wrote short stories, the teacher read them aloud. The class voted on the best one—mine won, but I overheard a classmate say, “I only voted for hers because it was the longest.” The first time I won a writing contest, and my first snarky review! I kept writing, and in college, I grew interested in journalism, which I focused on after graduating. A few years later, hoping that I still remembered how to write stories, I returned to fiction, joining writing groups, taking workshops, going to conferences, and later on, getting my MFA. Journalism taught me to write daily and on deadline, while fiction has informed my nonfiction, in terms of thinking about scene and character. I wrote the collection story by story, over a decade, and worked at getting each piece published individually at literary magazines—which can be a years-long process of submission and rejection, submission and rejection. Eventually, I had enough pages to fill out a collection, and after reading them together, I realized the stories were thematically linked by deceit, even though I hadn’t set out to do so. Immigrants and the children of immigrants strive, they’re resourceful and wily, and that may take the form of secrets and lies they tell themselves and their families. I started sending the collection out to a few short story contests a year and in 2016, I won the Willow Books Grand Prize in Literature. Based in Detroit, Willow Books specializes in the work of writers of color. At the same time, I was also working on my novel, A River of Stars, which is coming out next year (Ballantine, Summer 2018). How important has it been to be a writer of color both as a journalist and a fiction writer? What are some similar challenges and advantages to this and how do you work through it? I want to tell the stories that no one else can; I don’t want to go chasing after the same ball as everyone else. A former newspaper editor of mine praised me for my “conceptual scoops”—that is, stories that were compelling but didn’t fall into the “get-it-first” paradigm (although those stories are vital, too). As a writer of color, I have experiences—born from language and culture and family—that inform my reporting and writing. Some sources may feel more comfortable opening up to me, as a woman, as a daughter of immigrants, as a mother of twins, as a Bay Area native—I’ll call upon whatever I can to make a connection. But those qualities may also cause some to dismiss me, because they’re not interested in knowing about those worlds. At times, I’ve had to justify that what I’m working on is worthy of a story at all, because it doesn’t fit into an established model. And yet, given the amount of time I spend alone working, away from my family. Friends, sunshine and fresh air, I still have to write about what engages me most. I also think that writing about the specifics of characters make them real and relatable, even if my readers don’t share those specifics. To be an outsider, to search for love and respect, to grapple with family—all that is universal. Do you have any advice for other Asian Pacific American artists and artists of color? To support and encourage each other, read and recommend each other’s works and go to each other’s events. To care for each other. Our community is diverse—in terms of culture and aesthetics and experience—and yet we can help each other, in our struggle, as artists of color, to make ourselves heard. What are three words that can be used to describe what you are unraveling in the work you’ll present at APAture? Meet Vanessa and hear her read in person at the APAture 2017 Literary Arts Showcase happening Thrusday, October 5, 7-10PM at Arc Gallery!